Alex Nunns is a UK-based author and activist. His book, 'The Candidate: Jeremy Corbyn's Improbable Path to Power', won the 2017 Bread and Roses Award for Radical Publishing. Although Labour did not win the June 2017 general election, its result was astonishing. How and why did this happen? 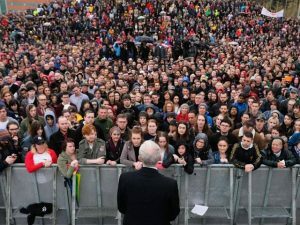 Alex Nunns, author of "The Candidate: Jeremy Corbyn's Improbable Path to Power," reflects on one of the most remarkable moments in UK political history.